When cleaning professionals think about winter floorcare, the focus is usually on hard surfaces. Without question, hard surface floors and carpet can take a real beating when winter comes. 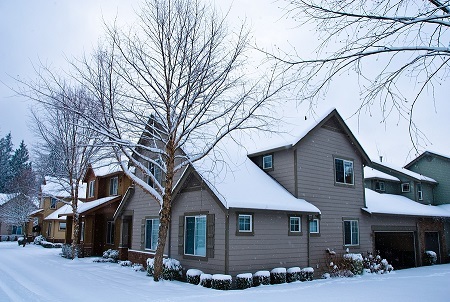 Rain, snow, ice, ice melt, sand and grit are all more likely to be tracked into a home during the winter months than during warmer and milder times of the year. However, cleaning professionals and homeowners often neglect to incorporate added measures to help keep carpet clean and healthy during the winter months. While the winter months may not have the same direct impact on carpet as they do on hard surface floors, carpet is also greatly affected during the coldest time of the year. And, because people spend so much more time indoors during the winter, if carpet is not kept clean and healthy, it can negatively affect the health of the entire facility. Interestingly, there are similarities between how carpet and hard surface floors can be effectively cleaned and maintained during the winter. It all starts with taking a proactive instead of a reactive approach. Among its other features and benefits, carpet is manufactured to help hide soil. Some reports indicate that cut-pile carpet can hide up to a pound of soil per square foot before it even begins to look dirty. That is a lot of soil buildup, and by the time commercial and residential customer’s notice their carpet is soiled and take a reactive approach by having the carpet professionally cleaned, irreparable damage may have already been done. This is because the buildup of soil, dirt and grit begins to grind away at carpet fibers, causing them to look dull and worn. 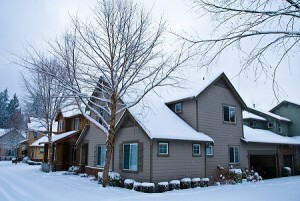 This process can move along at an even faster pace during the winter months because of the added soil load that most homes must contend with during this time of the year. To prevent this excessive wear and to protect carpet and its appearance as well as the health of the entire home, a proactive carpet care approach is crucial. By deep cleaning, protecting, and maintaining carpet throughout the winter, technicians can help carpet look better and last longer, which can prove to be a significant cost savings as well. There may be possible buildup of harmful pathogens in carpet that can impact indoor air quality. In such settings, vacuuming frequency should be increased along with hot water extraction (which is the method that we use here at Unique Upholstery Carpet & Rug Cleaning in Northbrook, IL). Implementing the full proactive program. The next step is to have the carpet thoroughly cleaned using hot water extraction. Heat and the proper cleaning agents, reduce the surface tension of water and enables faster, more efficient cleaning than cold water. This initial cleaning is important because after this deep cleaning, the carpet is now free of stains, soiling and odors. Essentially, we are starting with a clean slate. At this point, applying a protective, stain-resistant coating to carpet is often recommended. These coatings can help protect the carpet and make it easier to clean up spills and other soils. However, the performance of these products can diminish over time, especially after cleaning with hot-water extraction. Because of this, and to ensure protection, they should be reapplied after each carpet extraction. A proactive winter cleaning approach also involves increasing spotting frequencies. Also, have a plan in place to deal with the buildup of ice melt or salt in carpet. This is especially essential in icy and snowy climates where these products are used frequently to combat winter conditions. Finally, key to the entire program is daily maintenance. This starts with using best-in-class vacuum cleaners and is enhanced by increasing vacuuming frequencies, especially in high-traffic areas. Further, consider grooming the carpet. Carpet groomers raise the nap of the carpet and help loosen embedded soils so that they can be more easily vacuumed up. Cleaning professionals do far more than simply clean carpet. Today, they are advisers and consultants for homeowners. As such, they should advise their customers of the importance of an effective winter carpet care program. Doing so keeps carpet cleaner, homes healthier and increases the life span of the carpet as well. Author Doyle Bloss has been a part of the cleaning and restoration industry for more than 30 years. He presently serves as the marketing and chemical brand manager for HydraMaster and U.S. Products in Mukilteo, WA. He has headed up the two largest training programs in the industry, assisted in developing complete chemical lines for three leading manufacturers and has been honored and awarded for his innovative programs that build bridges throughout the cleaning and restoration industry. He may be reached through his company website at www.USProducts.com.